A recent post by a respected church leader described several trends in the church that give him hope. One of these was the settling down of the “worship wars”, the clash within churches over worship styles. As he says, “We have wasted far too much time and resources insisting on our preferences rather than engaging in true worship”. While I hope this is true on a larger scale, I still see many churches in worship lockdown. Either the battle hasn’t been fought yet, or it is just beginning. 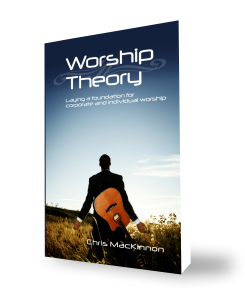 One of the biggest issues is knowing what to do when a worship leader teaches a new song to the congregation. When you hear your music or worship leader leader say the words, “We have a new song for you today,” let these Seven Tips help you on the path of discovery. I still haven’t figured why, but “The Walking Dead” is one of the most popular shows on television. Even Christians get a rush from a program filled with diseased, hungry, undead zombies and the fight to stay alive in a world filled with them. No, I’m not a fan, and I’m not living in fear or anticipation of a coming zombie apocalypse (though I do believe something terrible will come one day). The pictures and commercials I see are enough to know that as a person already susceptible to images, I don’t need those ones stuck in my head. Recently, though, I thought of those rotting undead as the perfect example of a gruesome sight. Maybe you heard something over the recent Easter season, or from some preacher over the years. It makes me think of what God might see when He loks upon us in our sin. This weekend we celebrate Palm Sunday, a remembrance of the Triumphal Entry of Jesus into the city of Jerusalem. It was the first day of a significant week in human history. But the people didn’t know it was the week Jesus would die. For them, it was a time of celebration. When Jesus rode a donkey into the city, people were excited, joyful, and basically threw a city-wide party. All of the commotion even got the attention of the city’s big wigs. No one, other than Jesus, was looking to the cross and tomb. They were ready for a new reality, a new King and Kingdom. The gospels tell us about the crowd who lined the streets, the branches and cloaks thrown on the ground, and the shouts of “Hosanna” and praises. Despite all the events of the end of the week, the people gladly welcomed Jesus. I wonder if He would be so gladly welcomed into our cities. Why did God create so much? When I went to our prayer meeting at church Sunday night, I hadn’t yet taken the time to think about what she said. But as I was walking and praying, I found an answer. God created all of that we see around us and dream about in the great, wide universe. But why?